This week I decided to buckle down and finally paint the master bathroom. The project has been dragging on for 6 months and the only thing keeping us in cramped hall bathroom is paint and effort. 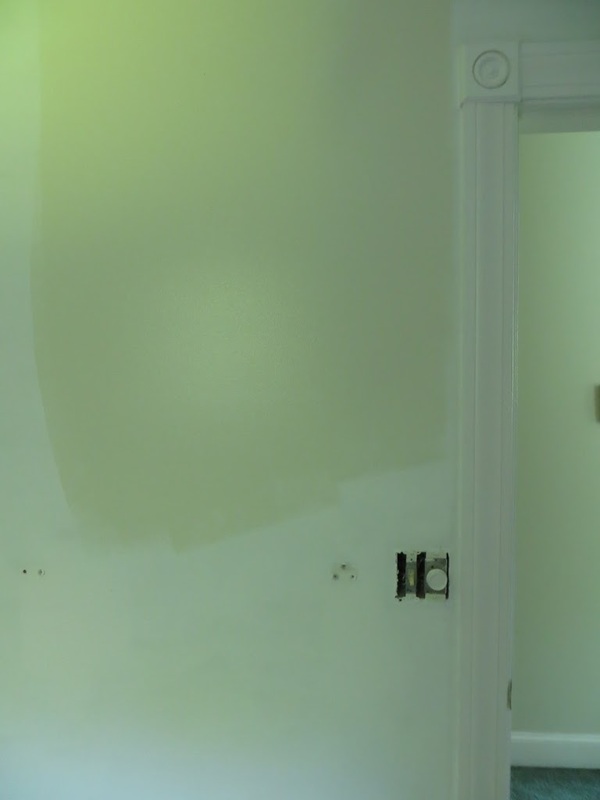 To keep things cheap and simple, we’re using paint that was left by the previous owners, called November Rain. When we first saw the house at the showing, we thought the color was white or off-white. Once we’d purchased the house and started putting in our own colors, we realized that it was actually a pale green. I started the project in the morning, hoping to bang out 2 coats and edging in a single day. When I opened the can, the paint looked almost white. I’d shaken it before I opened it, but I still stirred it vigorously, hoping to see pigment rise to the surface. When I poured it in the tray, I actually wondered if they left a different color behind. In the tray and when I first spread it on the wall, it was warmer and more yellow than I expected. It looked more like bone or bisque. Even as I moved around the room, the light would change and the color would shift. It was clearly green on one wall, barely off-white on another. As I painted and looked at the walls from many different angles, I started to draw a parallel to my life. I didn’t choose to be out of work, but I can decide to view my situation from a number of angles. One angle may look pale or ugly, but that doesn’t make it the true hue. It is tempting to stick to that initial negative impression, but it isn’t useful or productive. I am going to try hard to keep checking the angles and look for the possibilities. It doesn’t mean I won’t catch myself dwelling on that ugly angle some of the time. It means that I can choose to take a different tone. 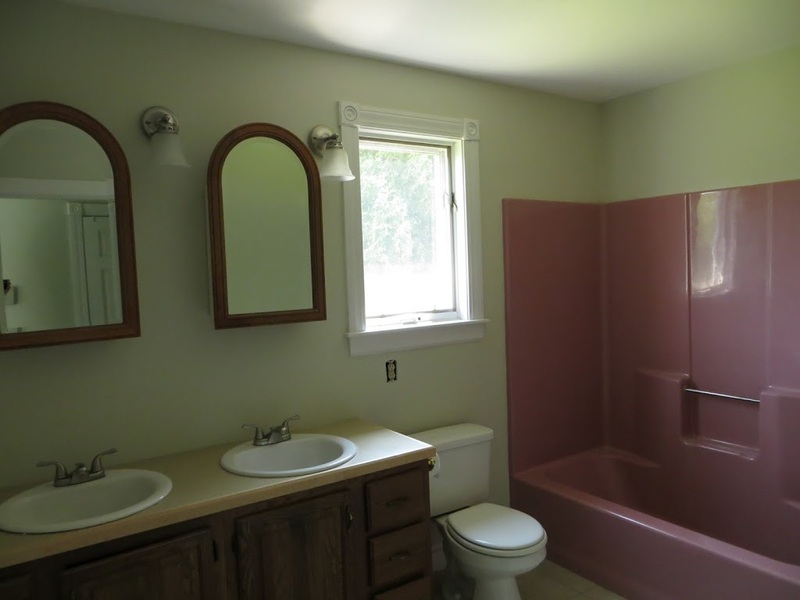 Back to the more literal topic at hand – I finished touching up the paint this morning and we are so very close to having our master bathroom back to full-function. The only thing we *have to* do before we can use it again is buy and install a new shower rod. That process needs Aaron, because I avoid using power tools due to klutziness. We also have a new towel rod to put up (anchors already in place) and a new fan timer we’d like to get in. I have high hopes that we’ll be back in business by the weekend! Fan timer is in and its pimp!